Here are even more great kid’s books that have been released to celebrate Father’s Day. 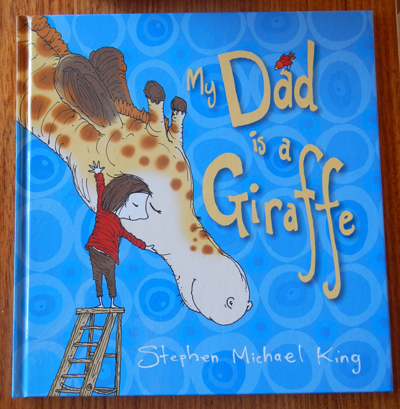 Children can have the most amazing imaginations, and this is especially obvious when reading this picture story book, when a young girl likens her father to a giraffe. He has all the attributes of a giraffe- he is big, tall, gentle and fun. But he also has very human attributes- he can sit in a big chair with his feet touching the ground, is protective, listens to his daughter and helps her feel brave. The pictures, of dad as a giraffe with his human daughter, perfectly illustrate the imaginative mind of the young girl, and show the special relationship that the two share. Fathers and their children will delight in reading this story together, and identifying all the other animals that feature in the book. A lot of nostalgia surrounds the Little Golden Book series, which is probably why there has been a resurgence in their popularity of late. This latest rerelease features three ‘daddy’ stories- Daddies, We Help Daddy and Animal Daddies And My Daddy- initially published in 1953, 1962 and 1968 respectively. All of the original illustrations and text have been reproduced so that a new generation (or older appreciative one) can read the stories and reminisce about simpler times. The first story in this collection is all about the various jobs that daddies do throughout the day, and the enjoyment that they get out of coming home to their families each night. The second is about two children named Benjy and Sue, who spend the day helping their daddy with all his household chores and earn the title of ‘best helpers’. The third is all about the special qualities that animal dads have, and their similarities to all the human fathers. 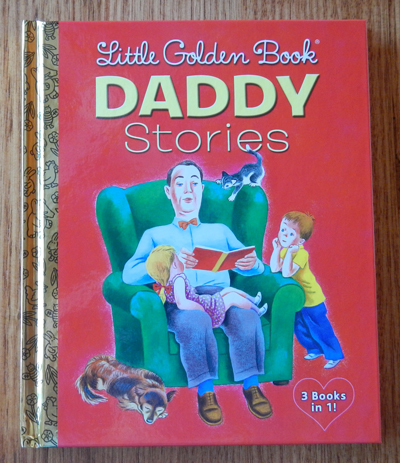 Simple and sweet, these classic stories are a tribute to daddies everywhere. Interactive books are always a hit with kids, and this one is no exception. 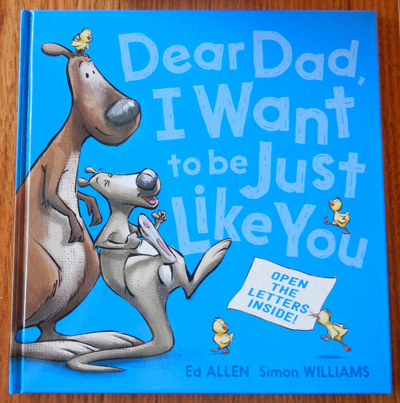 Each page spread features a letter written to an animal dad from their child (or children), extoling their virtues and telling why they want to be just like him. Although some of the letters are just written on the page, others are hidden inside envelopes, behind flaps, or (as in one case) in an upside down book. Each letter is specific to each animal- the joking kookaburra, the protective emperor penguin, and the sporty kangaroo, just to name a few- but most of the qualities could be applied to your real-life dad. There’s even a piece of paper and an envelope at the end of the book so that your young one can pen their own letter to their dad, and in their own way, personalise the story.